I’ve been trying to keep up with a ‘block of the month’ group, but so far I haven’t been too successful. 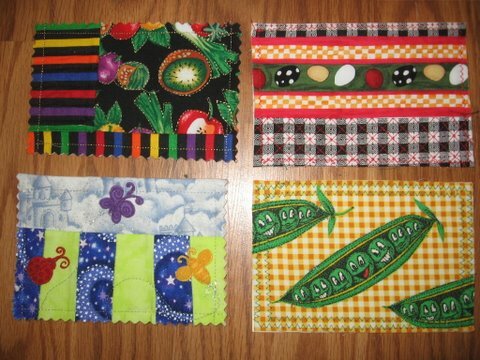 Instead of making one of each block, I thought I would be real bright and make 2, so I would have 2 more quilts to give to the grandkids [since I don’t think I will ever really catch up]. Only problem: I misplaced everything in the mess of a sewing room I have. I started cleaning last week hoping that I’d find everything soon since the meeting is next Sunday. 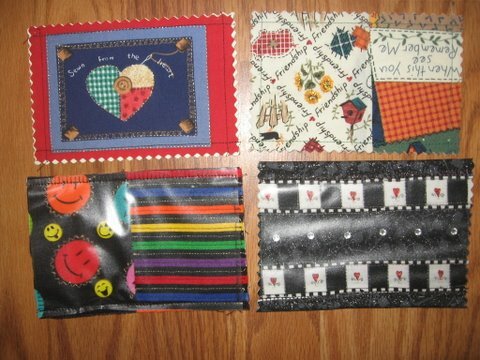 I read somewhere that one should beware of a quilter that is cleaning her room; it means she is planning to move out! I found the bag in the second to the last corner. When I excitedly showed my husband, he commented: “does this mean you aren’t going to clean your room anymore?” RIGHT! Guess what I’ll be doing all night tonight? Show you both finished projects the end of December. 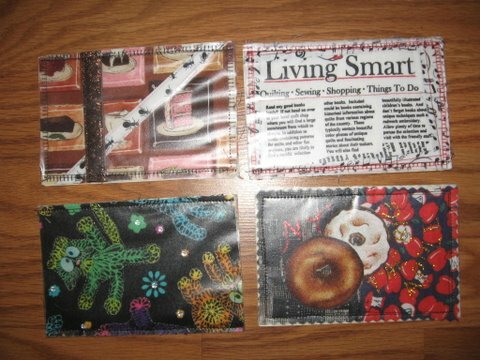 I’ve been making more postcards for this trading group I joined- “Trading Fabric Post Cards”- a group of 25 people who from all over the world who has to also send out 25 postcards. There is no fee and no rules. 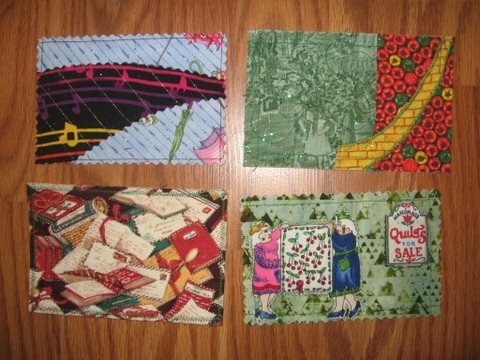 If you would like to sign up, just google quilted postcard trading group. I still have these in my possession (past the due date) bec. big cities are quite uncooperative in hand stamping… If the fabric postcards were to go through the machine it can be damaged. By me, they charge .44 cents, then .20 cent fee, then $1 for each handstamp! 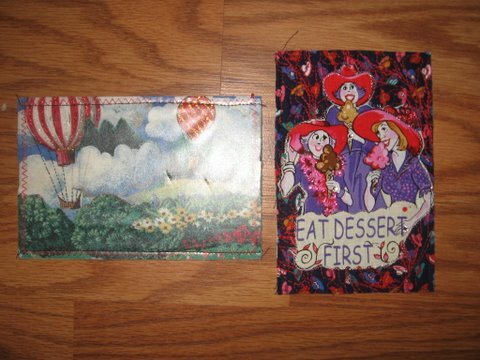 As an aside, Sew Materialistic offers free postcard workshops, where everyone just sits and sew postcards- lots of fun!